“ZAVOD GORELTEX” Co. Ltd. (former “CORTEM-GORELTEX” Co. Ltd.) is an active member of Technical Committee for Standardization TC 403 “Explosion-proof and mining electrical equipment”. It participates in development of new standards, public supervision of production and operation of explosion-proof equipment in the Russian Federation. Our specialists have the latest technical standards for operation of explosion-proof equipment of Russia, Kazakhstan, Belarus, China, EU countries, Canada, Brazil, Australia, Turkey, South Africa, Japan, the USA. We work permanently with NANIO “CCVE” which is the leader in the field of certification of services for assessment of conformity to the standards of safety of electrical equipment intended for use in explosive areas. This is the only IECEx-accredited organization in Russia and the CIS countries. 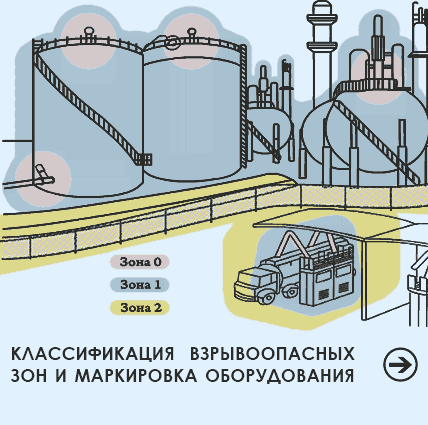 Industrial safety evaluation of technical devices applied at dangerous production facilities is carried out in particular cases (upon customer’s request) jointly with NANIO “CCVE”.